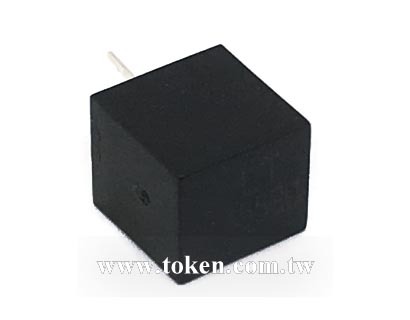 Token ceramic filters for communication LT 455/450 U/W series are 4-element and 6-element devices connected in ladder form. 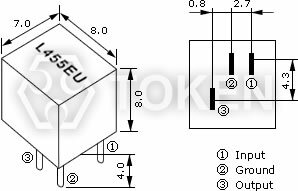 These highly selective filters are designed to address the G.D.T. 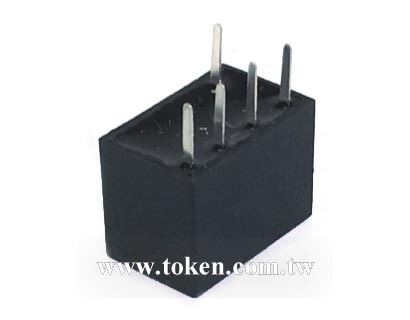 characteristics required in digital communications. 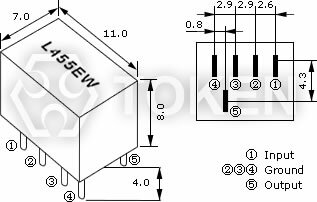 Custom parts are available on request. 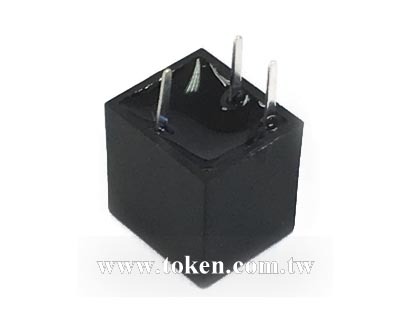 Token will also produce devices outside these specifications to meet specific customer requirements, please contact our sales for more information. 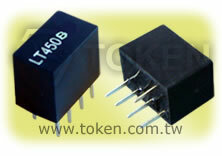 Download complete (LT 455/450 U/W) Ceramic Communication Filter Datasheet PDF. 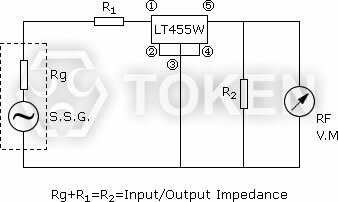 LT455 EU Dimensions: (7.0 x 8.0 x 8.0 mm). 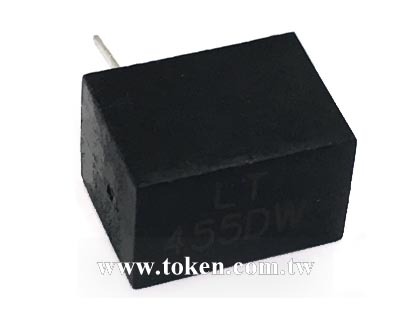 LT455 EW Dimensions: (7.0 x 11.0 x 8.0 mm). 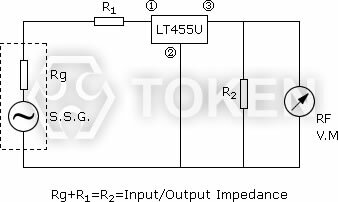 Input / Output Impedance: 1000Ω ~ 2000Ω. 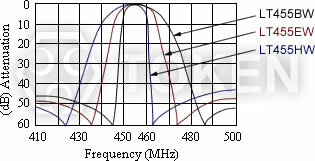 Insertion Loss (dB) max: 4 db, 6 db. 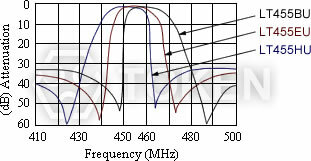 Pass Band Ripple (dB) max: 2 db.